RCVS Knowledge is the charity partner of the Royal College of Veterinary Surgeons (RCVS). Our ambition is to become a global intermediary for evidence based veterinary knowledge. We achieve this by providing access to information that is of immediate value to practising veterinary professionals and that directly contributes to evidence based clinical decision-making. We champion evidence based veterinary knowledge by providing a three-fold service to the profession: access to the Historical Collection, Library and Information Services and through our wider Evidence Based Veterinary Medicine Project. These three themes are underpinned and facilitated by a grants and awards programme that both celebrates achievements, and builds new knowledge that will contribute to EBVM and other projects. RCVS Knowledge holds the unique archive collections belonging to the Royal College of Veterinary Surgeons; these consist of thousands of unpublished manuscripts, correspondence, case notes and photographs illustrating the history of the British veterinary profession from 1756 to the present day. RCVS Vet History Archive Catalogue – An online database with descriptions of material catalogued to international archive standards, fully searchable with biographical profiles for major persons featured in the collections. RCVS Vet History Digital Collections – An online repository displaying high resolution digital surrogates of priority documents from both the archive collections and also the historical library collections held at RCVS. These high quality images are to be viewed through ‘Universal Player’, an unparalleled interface developed by Digirati for the Wellcome Trust with features such as deep zoom, rotation, one-click page turns, thumbnail lists and hyperlinks to catalogue records. The RCVS Vet History Project is supported by The Alborada Trust. The ALBORADA Trust was founded in 2001 and is named after the great racemare ALBORADA, twice winner of Newmarket’s Champion Stakes, Group 1, and rated World Champion 3yo filly. The charity’s aims are the funding of medical and veterinary causes, research and education – and the relief of poverty and human & animal suffering, sickness and ill-health. After graduating from RVC in 1876, Smith served as an army veterinarian in India from 1878-1885. He was Professor at the Army Veterinary School in Aldershot from 1886-1893, and then returned to regimental duty at Woolwich, in Sudan and in South Africa during the Second Anglo-Boer War. In 1903 he was appointed Principal Veterinary Officer in South Africa, and on return to Britain in 1905, PVO Eastern Command. Appointed Director General of the Army Veterinary Service in 1907, he then retired as a Major General in 1910. Smith was a prolific writer producing some 49 veterinary articles and books including A Manual of Veterinary Physiology, which ran to five editions, and a number of histories of the profession including his four volume work The Early History of Veterinary Literature. The Smith papers include notes relating to his research and publications, reprints of his published articles, handwritten notes for his autobiography, his official diary of the war in South Africa 1899-1902, photographs and notes relating to the Army Veterinary Service and letters written from 1877-1929. A catalogue for the whole collection can be viewed online at www.vhcatalogue.org and priority items are being digitised and added to this site frequently. To hear about significant additions of new content, please sign up to our Digital Collections update mailing. Edward Mayhew enrolled at the London Veterinary College in 1843. He qualified as a member of the RCVS on 6 February 1845 and became a member of RCVS Council just over a year later. He was well known as the author of several veterinary works in particular his publications Illustrated Horse Doctor and Illustrated Horse Management. His collection of watercolours consists of over 400 original artworks, most of which were used to produce engravings in these books. The collection includes images of horse anatomy, treatment, behaviour and care. The collection has been catalogued, and descriptions can be found online at www.vhcatalogue.org. Records relating to the RCVS including manuscripts about its foundation, Council and committee minutes from 1844 onwards, and papers relating to the day to day work of the College. Graduating from the Royal Veterinary College in 1934, Uvarov worked in practice until 1950 when she switched to work in the pharmaceutical industry, eventually becoming head of the veterinary advisory department of Glaxo from 1967-1970. Olga Uvarov was president of the Society of Women Veterinary Surgeons from 1947-1949 and of the Central Veterinary Society in 1951-1952. She became a Fellow of the RCVS in 1973 and its first woman president in 1976. Connie Ford qualified from the Royal Veterinary College in 1933 and built up her own practice in London, specialising in marmosets. In 1943, following a stint in the Land Army, Ford joined the Veterinary Investigation Service at Sutton Bonnington where she remained for 29 years, becoming a specialist in the infertility of cattle. Connie Ford was awarded an MBE in 1970. …and potentially other exciting discoveries along the way! Selected pamphlets from our large collection of printed works by Bracy Clark (1771-1860) have been digitised and included on this site. Many other examples can be found elsewhere on line. Clark, the son of a Quaker, left school at 14 and was apprenticed to a surgeon for seven years. With the founding of the London Veterinary School in 1791 he changed to studying veterinary, rather than human, medicine and he enrolled at the London school some time during 1792, gaining his Diploma in July 1794. Whilst in practice Clark developed an interest in shoeing, establishing a number of forges throughout the country. After retiring in 1828, Clark settled at Taunton Street near Regents Park, devoted his energies to publishing and re-editing his own works and experimenting with shoeing. RCVS Knowledge also holds a model hoof made by Bracy Clark, of which you can see a 3D visualisation here. Books by Edward Snape, a London-based farrier, who did much to champion 18th century equine medicine. The first archivist ever appointed to delve into the RCVS archive collections, Lorna is also the Operational Manager of the RCVS Vet History project. As well as overseeing the project and managing the Archive and Digitisation Assistant, Lorna is responsible for the preservation and cataloguing of the collections. Lorna has previously worked in the Archives at Royal Botanic Gardens Kew, the Natural History Museum and Royal Holloway, University of London. She was awarded a Postgraduate Diploma in Archives and Records Management from University College London in 2011. Lorna is RCVS Knowledge’s resident cat enthusiast and boasts of her two teenage cats, Ada and Myrtle. Helena assists the Archivist with the digitisation, cataloguing and promotion of the RCVS Historical Collections. Helena joined the RCVS Vet History project in January 2017. Her previous experience includes digitisation projects and volunteering in conservation with the Royal Museums of Greenwich and the archive centre at the London College of Communication. Helena hopes to one day study for a Masters in ‘Archives and Records Management’. Helena unfortunately doesn’t have any pets at the moment, but is very skilled at drawing other people’s pets! Adele carried out the digitisation and processing of priority documents in the archive and historical library collections, making them available on the project’s digital collections site. Adele also supported the project through its promotion and care of the collections. Adele joined the RCVS Vet History project in January 2016 after completing a traineeship run by the National Archives based at Rambert Dance Company. She has also worked as the Archive and Special Collections Assistant at University of the Arts, London. Adele went the extra (26) miles for RCVS Knowledge, after completing the 2016 London Marathon on behalf of the charity. In December 2016, Adele moved on from RCVS Knowledge and started work at Cats Protection. 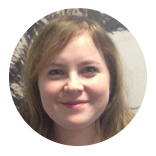 Clare is Project Manager (and main instigator!) of the RCVS Vet History project, providing strategic oversight and a personal passion for the history of the veterinary profession, including regular contributions to the Historical Collections blog here. Clare joined RCVS Knowledge in 2008 after 16 years in academic libraries. She has a Diploma in Library & Information Studies from Manchester Polytechnic and an Open University Diploma in Management Studies. George developed and built our Digital Collections website, based around the Universal Viewer. As an experienced web developer and the lead strategist for RCVS Knowledge’s digital presence, he has developed and implemented several of our charity’s ‘satellite’ websites, including Veterinary Evidence. George joined the RCVS in 2013 as the Digital Communications Manager and took his current role with Knowledge in August 2015. Digirati are a leading UK Digital Consultancy that provide digital strategy, UX design, software engineering and system integration services. They specialise in delivering digital projects that enable cultural institutions to present their valuable assets and data online. Their work for RCVS Knowledge involved developing a customised metadata workflow, utilising their digital library cloud service. They also customised the Universal Viewer configuration, and created a WordPress plugin, which enables easier online curation of our collections.